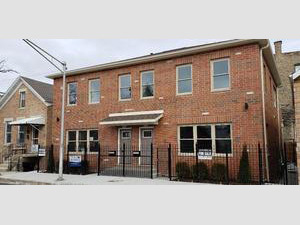 Remarks: New construction Bridgeport Townhome available for immediate delivery! Walking distance to public transportation, popular restaurants and planned Starbucks at 31st & Halsted. Interior design includes 4 bedrooms and 3 1/2 bathrooms, 42 inch kitchen cabinets with quartz counters, black stainless steel appliances, finished basement & On- Demand Hot Water System. Additional features include gray hardwood flooring throughout first and second floor, custom mill work package, and huge outdoor deck w/ skyline views above attached 2 car garage. Square Footage Comments: Square footage does not include the garage and exterior roof deck. Agent Remarks: Listing agent has partial financial interest in property.